Can you work out the angles in the pictures below? 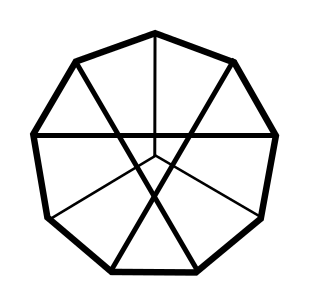 On the left, a regular octagon is surrounded by congruent kites. On the right, a regular decagon is divided into two different types of rhombuses. Here are two more polygon puzzles to try. 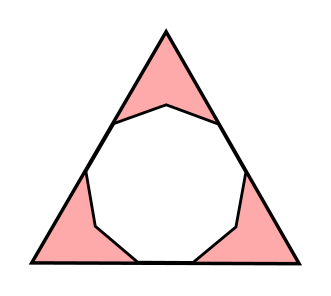 The first one is a regular nonagon drawn inside an equilateral triangle. 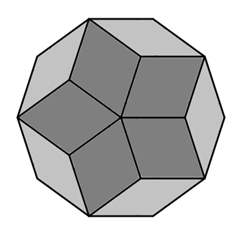 The second is also a regular nonagon, with lines joining vertices to each other and to the centre. Can you work out the angles? The game of Shogi, also known as Japanese Chess, is played with tiles on a 9 by 9 board. What questions might a mathematician ask? Is there a quick way to count the number of tiles in the picture? What shape are the tiles? Which angles can be calculated? 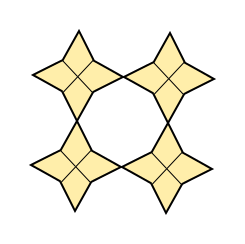 If we assume that the tiles are symmetrical, there are two pairs of matching angles and one other angle. What is the range of possible sizes of that "lonely" angle? Could we make other sets where we need more tiles to go all the way round with no gaps? Can you come up with answers to any of your questions? Can you justify your answers? 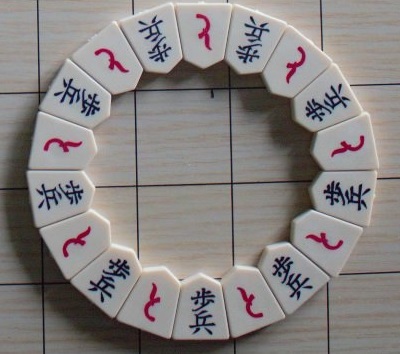 Thanks to Percy Henderson who shared with us his exploration of Shogi tiles and kindly granted permission to use his picture, and to Don Steward for the ideas behind the other polygon puzzles. Pythagoras' theorem. Regular polygons and circles. Angle properties of polygons. 2D shapes and their properties. Angles - points, lines and parallel lines. Mathematical reasoning & proof. Circle properties and circle theorems. Visualising. Area - circles, sectors and segments. Logo.